Shipping $37.99 Add item to cart for shipping estimate. You can SAVE on shipping by buying multiple items from the same seller. Shipping is charged by each individual seller. Sellers at times may also provide FREE SHIPPING on select items or on entire order if it meets the minimum order value. Please check sellers page for more details. Wholesale Disposable thalis. This is 800 pack of 9 compartments Round Party Tray / Thali / Plates. Shipping Cost $37.99 Buy multiple items online from Movie Time Video to SAVE on shipping. Buy Bulk Disposable 9 compartments Round Party Tray / Thali / Plates - 800 Pack, sold & shipped by Movie Time Video where you can shop online for Pooja Mandir, Bajot, Gifts, Hindi Movie DVD / CD, Music Video. 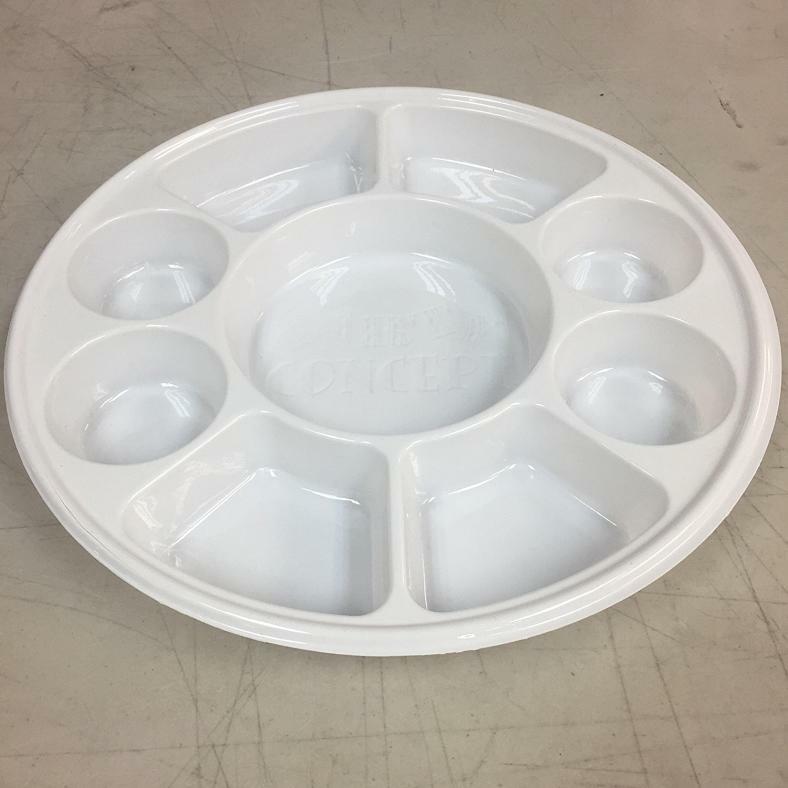 This Disposable 9 Compartment Thali collection has been tagged as Diwali Plates Thali, Indian Party Food Plate, Langar Puja Thali, Shaadi Wedding Plates, Badai Thali, Prasad Thali, Papdhi Chaat Thali, Wholesale Disposable Thalis.